Posted August 10, 2012 by William Martin & filed under Galleries. 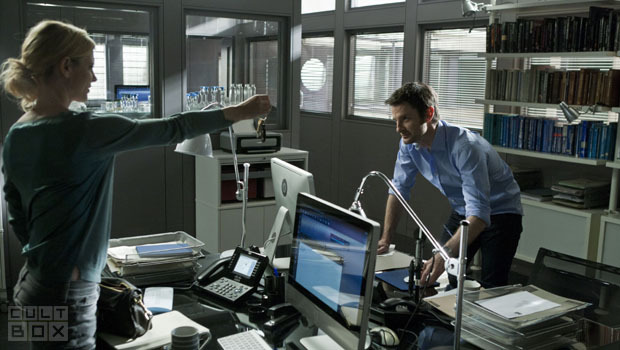 The BBC has released a set of images from Tom Ward’s last ever episode of Silent Witness. Ward, who has played Forensic Pathologies Dr Harry Cunningham since 2002, will depart the cast of BBC One’s crime drama after his final episode airs later this month. The two-part episode, And Then I Fell in Love, sees Harry move in with close friend and colleague Dr Nikki Alexander (Emilia Fox) when a gas explosion in his flat leaves him temporarily homeless. Part 1 airs at 9pm on Sunday 19th August on BBC One, concluding the following night.